Most of the time it makes sense to use car transport. Starting with the fact that driving can be stressful because it is not just “moving” but also to settle in a place, find related sites and get used to a new city. And, also because driving includes investing in the fuel and in the hotel that, for sure, will have to be used for sleeping because it is not advisable to drive for long hours. One thing is to tour the American road for fun or as a challenge, but for a moving, time-bound transportation and many things about which take over, is not funny at all. 1. Saves money – Car transport services are becoming increasingly popular, which means it’s easy to score a great deal. Shop around online and compare quotes to secure a rate that works for you. Car transport services often work out to be cheaper than driving yourself. Fuel is never cheap, and you might have to fill your tank a couple of times, depending on how far you’re travelling. When you’re driving, you also have travel expenses, like food and tolls, plus you might need to stay in a motel for one or more nights. 2. 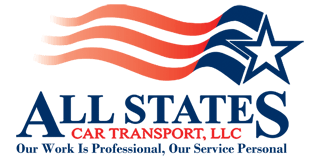 Saves time – When you hand over your car to an auto transporting company, you’re essentially giving yourself the gift of time – depending on how far you’re moving, that could be hours, days, or even weeks. Chances are, when you’re moving, you need all the time you can get to make arrangements, tie up loose ends and say your goodbyes. When you use car transport services, all you need to do is deliver your car to the drop off location, or, even better, you can arrange to have it picked up from your house. 3. Lets you travel the way you want to travel – Obviously, when you’re transporting your own car, you have no choice but to drive. But when you leave it to auto transporting experts, you have the option to fly, which is often the quickest way of getting to your destination, take the train, or get the bus, which are often more relaxing ways to travel. And with airlines like JetBlue and bus services like Mega Bus and Bolt Bus, chances are, you won’t have to fork out much cash to get you from A to B. 4. Reduces stress – No matter how much you love driving, driving long-distance is usually fraught with a bit of stress and a few headaches. You’ve got traffic, rude drivers and unpredictable weather to deal with when you hit the road, which is probably not what you want when you’re moving. Moving is stressful enough! Leaving your car with car transport services and taking the bus or a flight to your destination allows you to chill out, relax, read, watch movies, and catch up on emails, phone calls and much-needed sleep, probably. With auto car transport services, chances are, you’ll arrive at your destination feeling refreshed and ready to conquer your new city. So, with auto car transport services, you’ll save yourself time, money and arrive at your destination feeling refreshed and ready to conquer your new city. 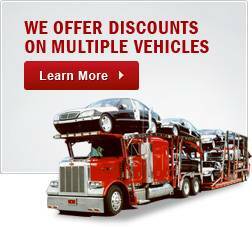 Four Benefits of Using Car Transport Services	Overall rating:	4.7	out of 5 based on 9	reviews.